It isnï¾’t easy to keep producing high-quality vaping products, but KangerTech continues to do it! They havenï¾’t disappointed us this time either with the awesome KangerTech K-Pin. 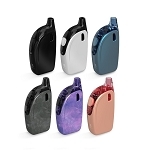 The KangerTech K-Pin is a smaller portable vaporizer that packs a surprisingly powerful punch for its small size. 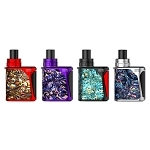 The KangerTech K-Pin is one of the most fashionable devices currently available on the vaping scene. If you consider your vaporizer as another accessory, then the stylish and modern looking KangerTech K-Pin could be just what youï¾’re searching for! The KangerTech K-Pin features a built-in 2000 mAh battery. That means plenty of power for those vapers that love to chain vape or those looking to vape in comfort all day long without having to recharge constantly. 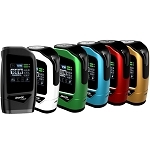 The tank size on the KangerTech is also up to vapers to choose. You can have the 2-ml version (EU compliant), or the much larger 4 ml tank. With the 4-ml tank, you can get comfortable vape through the day without having to constantly refill your favorite e-liquid or e-juice. Some other great features of the KangerTech K-Pin is the top fill tank design, a unique telescopic mouthpiece, and 5 LED battery indicator lights. If youï¾’re searching for a stylish and slim vaporizer or e-cigarette, then the K-Pin by KangerTech could be just what youï¾’ve been looking for!